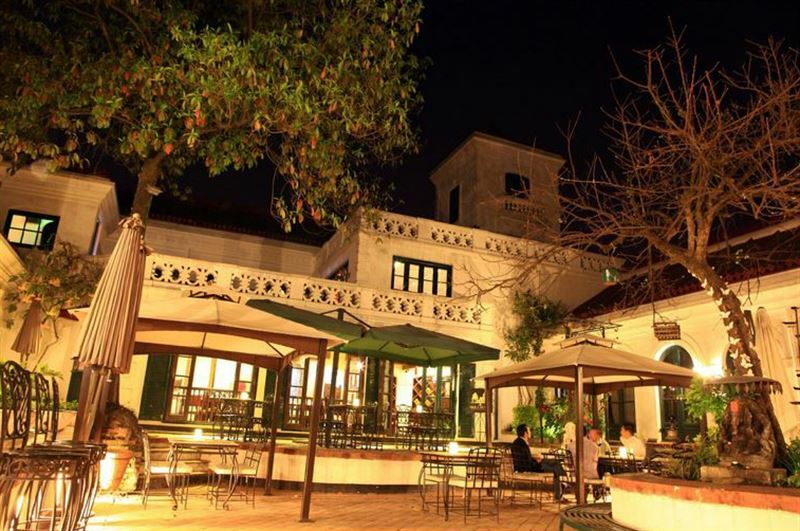 Mul Chowk is an oasis for gourmet lovers located inside Babar Mahal Revisited, here for your perfect dinning experience. In the beautiful main courtyard (Mul Chowk in Nepali) of Babar Mahal Revisited, Mulchowk provides to all a unique experience bringing culinary art closer to all other forms of culture. Whether a quiet lunch meeting, or celebrations we offer fine dining with a refined twist. Serving continental a la carte, elegant cocktails and lavish customised menus for your events, the Mul Chowk's team is here to serve you on any occasion. ONCE UPON A TIME: During the Rana regime, Babermahal housed a cow shed and guard quarters. Babermahal Revisited was resurrected in same location in 1996. The 5 courtyards resemble those of the old Rana palaces throughout the valley. Mul Chowk the biggest courtyard within Babermahal Revisited, whose front faÇade replicates the actual Babar Mahal palace, one of the grandest places to have been built in Nepal, located only a few hundred meters away from Mul Chowk. THE CHOWK: In days gone by, Chowk (the main courtyard) in homes and places was centre of community activities. Mul Chowk restaurant, as a classic piece of architecture, aspires to bring back the cultural relevance of the Chowk. THE RESTAURANT: Shaded under the sanctified Rudraksha tree, the southern orientation of Mul Chowk's courtyard ensures yearly sunshine and light, making it a perfect location for lunches and brunches. At night, Mul Chowk lighting compliment the glitter of its Slovakin glasses. German crockery & Italian cutlery. So whether you are planning a romantic evening with your loved one or planning a family feast. Mul Chowk is the perfect place. FOOD: The a-la-carte menu in Mul Chowk is essentially Continental with an Asian flair. It is known for its freshwater fish items, slow cooked lamb shank, pork belly roast, not to mention mushroom walnut risotto and stir-fried vegetables for the vegeterians. THE BAR: Not only does Mul Chowk have speciality coffee, the palace also hosts a full bar, which has the most extensive selection of single malts in the city. The staff takes a pride in serving you the finest spirits alongside a vast selection of classic and contemporary cocktails. EVENTS & SERVICES: Mul Chowk is available for the private ceremonies, celebrations and occasions. It holds musical concerts and performances of various kinds. When booked for events, Mul Chowk can accommodate up to 200 guests. The menus varies from Continental to Indian depending on your needs. The palace is also available for corporate functions with a complete boardroom set up. Mul Chowk provides lunch boxes and delivers food within Kathmandu.